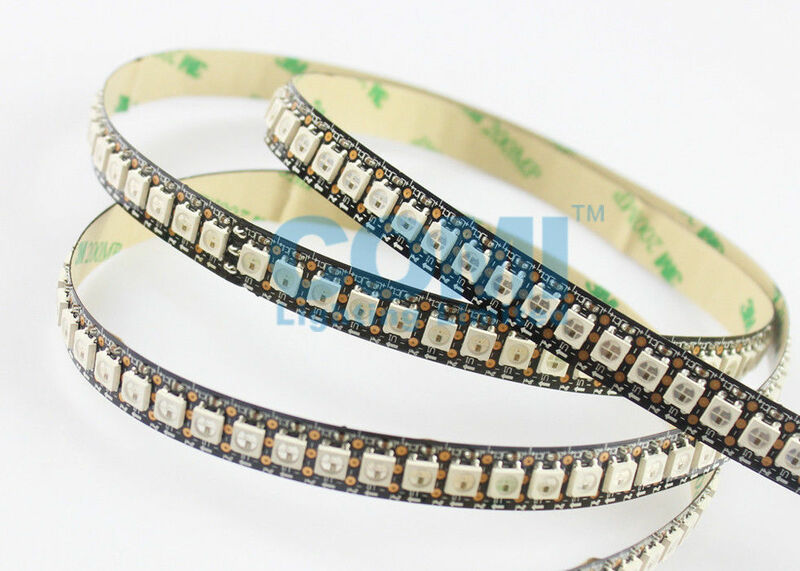 CL-DSWS2812B-144PX144-P1-5V is a 5V working 144pixels per meter fun and glowy digitally-addressable type LED strip and consumes only max 28.8W per meter, it is made of 12mm width black flexible PCB and with 144pcs RGB 3-in-1 5050 SMD LEDs per meter which each LED is with WS2812B IC built-in. 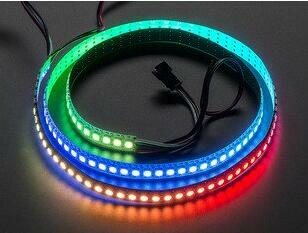 Every LED can be cuttable and controllable individually! 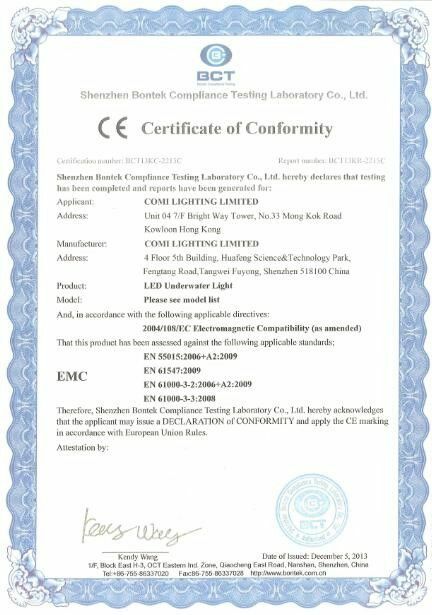 The strip is designed rated IP20 non-waterproof for indoor location or dry locations use only. 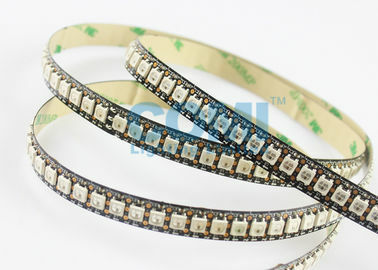 Standard length come in 5 meters per reel with a 3-pin JST SM connectors on each end (or open wires, or 3pins waterproof crystal connectors are available). 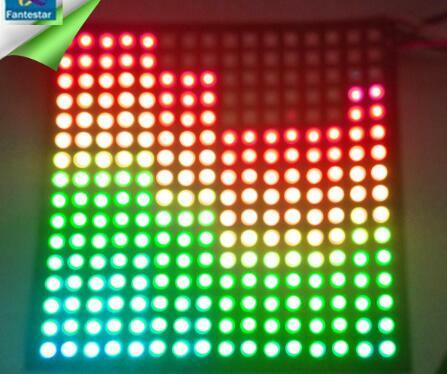 It can be controlled by various dream color LED strip to display static or dynamic changing effects especially flashing, chasing, running water, stream, pull screen, colorful jumping and etc, it is also can be set and controlled to use as "display screen" to display word, letter, picture, or animation. 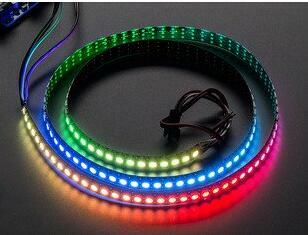 The LED strip is easy to install by 3M adhesive tape on the back of the strip. Please double check which side is the input and which is the output by looking at the strip itself for the directional arrows. 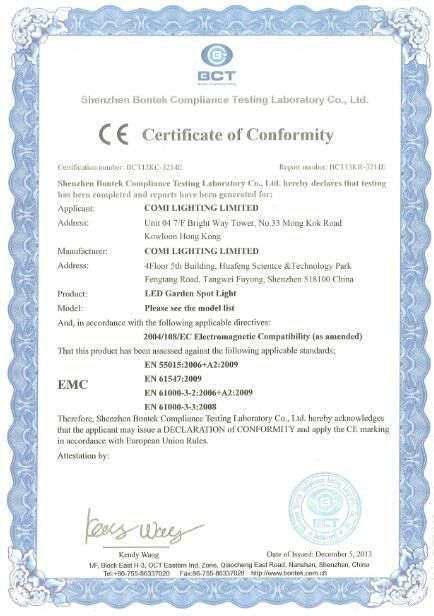 ● Provides colorful static or dynamic changing effects especially chasing, water stream, colorful gradients, colorful jump and etc when combines with "Dream color LED controller" or "DMX512+DMX decoder"